Feminist anthropologists have traditionally studied gender differences, female subordination and traditional feminine roles in a culture. Early female anthropologists such as Margaret Mead, and Hortense Powdermaker aimed to correct the historically androcentric (male) bias in anthropology. Later feminist anthropologists such as Annette Weiner, Patricia Zavella, Lila Abu-Lughod and Diane L. Wolf dealt with the contradictions of being a feminist working for social change and anthropologist studying a society as it is. These perceived feminist dilemmas in fieldwork are talked about in their work. Female anthropologists have helped to equalize women’s representations in cultural research by including the female perspective and through their representations of women as significant actors in their societies as contributors to the economy, social life and traditions. However, feminist anthropologists have been criticized as being biased by the hegemonic values of the founders of feminism: middle class and white women who advocated for the independence and equality of women in a Western society. As such, there have been ideological dilemmas for self-described feminist anthropologists when studying non-middle class or non-white women and women in non-Western societies. The later forms of feminism (late 1960s through 1980s) has been also categorized as an off-shoot of post-modernism for its focus on power in relationships and underlying assumptions or biases that affect the production of knowledge. Annette Weiner juxtaposed her observations of Trobriand Islanders in the 1970s with those of Malinowski’s observations of them in 1920s in her book Women of Value, Men of Renown (1976). In doing so she revealed Malinowski’s androcentric bias and omission of the critical roles women played in the local economy and culture. In her research she focused on gender differences in the production, display and exchange of resources in the village of Kwaibwaga (Weiner 1976:62). By treating women’s roles as important as men’s roles, she analyzed the ritualistic exchange of crafts produced by women. Crafts produced by women such as mourning skirts that were distributed by men during a mortuary ceremony reinforced the interdependency of the sexes as well as symbolized the social status of the various members in these reciprocal relationships (Weiner 1976: 62 & 137). “Within their own domains, men and women control different kinds of resources and hence effect different degrees and kinds of power over others,” Weiner says (Weiner 1976:18). Weiner believed that the investigations of Malinowski and other predecessors were limited by their sticking to traditional areas of ethnography. These areas were based on European ideas of kinship and social structure that minimized women’s roles in society. Since Weiner’s research was done in the early 1970s, during the second wave of feminism, her method of juxtaposing her research of women’s roles to an earlier biased perspective favoring men’s roles is considered a work of feminist anthropology by many. She showed that non-Western cultures which seemed to marginalize women’s roles actually did not when viewed objectively–without a Western bias. She pioneered giving equal time to studying women’s roles when studying the roles of both genders in a culture. Weiner says, “regardless of the variation between the economic and political roles of men and women, the part that women play in society must be accorded equal time in any study concerned with the basic components of social organization” (Weiner 1976:11). Since Weiner studied the roles of both genders and, from the observations she noted in her book of the relative equality of women in Trobriand culture, it doesn’t appear that she experienced a feminist dilemma. 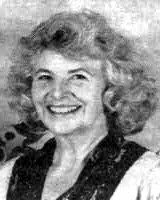 Patricia Zavella, as a female anthropologist studying the Chicana (Mexican American women) culture, notes her dilemmas with the feminist ideology of the late sixties and seventies (during the second wave of Feminism). One of her conflicts with feminism was that it criticized the high value of family life and family solidarity (La familia) and male brotherhood (carnalismo) in the Chicana culture (Zavella 1989:26). 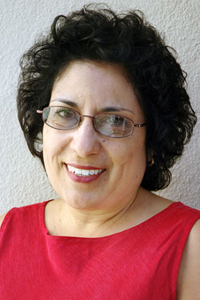 “Some Chicanas pointed out the white middle-class focus of American feminism in the early seventies and noted that it implied a form of racism,” she says (Zavella 1989:26). Another feminist dilemma she and other feminist anthropologists had was their ambivalence as feminists towards the norm of female subordination, the homophobia, and prevalent machismo in the Chicano culture (Zavella 1989: 27). Zavella notes the inverse goals of the second wave feminists and the Chicana movement and culture. Instead of promoting reproductive rights, the Chicanas were fighting forced sterilizations based on their marginalized social status. Instead of protesting against the “tyranny of the traditional family” Chicana’s were celebrating their unity (Zavella 1989:27). She and others felt that the oppression of Chicanas was based on more race rather than gender and the feminist movement didn’t address their concerns as Chicanas. Rather, the feminist movement was “focused on the oppression of white middle class women” (Zavella 1989:27). She applies the concept of “triple oppression” –(oppression based on class, race and gender relations coined by Denise Segura – to Chicanas. One cannot compare the relations of power of a Chicana and a white women to men as Chicanas experience a racial and class political asymmetry in addition to her gender. Zavella concludes that one of the central femnist dilemmas for Chicanas is that “white privilege is a part of feminist theory and culture as well as of all our institutions” (Zavella 1989:28). She’s hoping that there will be multicultural feminisms and that the feminist dilemmas of Chicanas and other women of color will be less pronounced. When a high status feminist anthropologist in a female-subordinate culture attempts to equalize her status with her female informants. When a feminist anthropologist becomes a social advocate for equal rights for the women in the culture she is studying that considers females to be inferior to males. Anthropology is about studying about women, not advocating for women. The multiple political positions of a female anthropologist when she is both a cultural outsider and gender insider when researching a female-dominant activity or group or a gender outsider when researching a male-dominant group (Wolf 1996). The power relations inherent in the process of gathering ethnographic data, interpreting it and producing an ethnographic representation of another culture can introduce issues for feminists because of their own gender and cultural biases (Wolf 1996). When feminist criticisms of traditional gender roles and family life comes in conflict with a culture’s norms (Zavella 1989). In her essay “Writing Against Culture” Lila Abu-Lughod criticizes the exclusion of female ethnographers who identify themselves as feminists and bicultural or native “halfies” in the book Writing Culture: The Poetics and the Politics of Ethnography, edited by James Clifford and George Marcus (1986). She believes these two excluded groups contain “critical” perspectives on researcher bias and the subjective influences of “positionality, audience, and the power inherent in distinctions of self and other (Abu-Lughod 1991:140).” ).” She maintains that to omit these groups is to limit oneself to only Western and male discourses and perspectives. Every perspective is situated and, as she says, “every act of speaking is from somewhere” (Abu-Lughod 1991:140). ). She claims that the omission of these groups in the book Writing Cultures betrays the editors’ biases against the feminist and bi-cultural ethnographic perspectives (Abu-Lughod 1991: 141). From being a female anthropologist studying gender roles and traditional gendered practices, she notes that differences she has experienced in the field “tends to be a relationship of power” (Abu-Lughod 1991:147). Because of power asymmetries between anthropologists and their informants, researchers need to be especially sensitive to “issues of positionality and accountability” of ethnographic practices (Abu-Lughod 1991:147). The feminist dilemma comes from the anthropological practice of treating one’s informants as the “Other” and distinguishing between selves and others that conflicts with the feminist perspective as a gender insider when studying women (Abu-Lughod 1991:139). Within anthropology, there is a historical conviction that one cannot be objective about one’s own society. The second issue with anthropology is the tacit assumption that one studies non-Western cultures and compares them as an oppositional binary to ones own. What if the anthropologist is a cultural native? What if the anthropologist is a women studying other women? According to Abu-Lughod, this has “led to a crises in feminist theory, and others, the development of postfeminism” (Abu-Lughod 1991:139). The feminism began as a movement to advocate for women’s equality and to help women become self-reliant “selves” rather than “objects” and fully formed subjects rather than the marked “Other” or “objects” to males. (Abu-Lughod 1991:140). In non-Academic English, that means that traditional feminism advocates for the elevation of female status to a level equitable with males in society –for a female’s identity/self-worth to be formed by more than her relationship to the males in her life as daughter, wife, mother, widow… However, as a cultural outsider for whom does the feminist anthropologist speak? What if identity is formed collectively in the society she is studying rather than individually as per her middle-class Western perspective? Wouldn’t she be imposing her own Western feminist cultural views on her female informants– a classic case of ethnocentric bias? Abu-Lughod believes the feminist anthropologist has to walk this line carefully as both a cultural outsider and gender insider. She notes that “dividing practices” either for gender or culture, of “us” versus “them”, is a fundamental method of enforcing inequality (Abu-Lughod 1991:143). As a Palastinian-American and self-described feminist anthropologist who has studied non-Western cultures and advocates for the rights of Muslim women, it seems that she is particularly informed about these issues (Editor 2012). 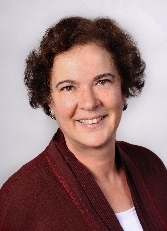 Diane L Wolf teaches sociology classes and field methods at UC Davis. Her research interests include Gender and Family Studies, Fieldwork Methodology and the Anthropology of Childhood and Jewish Studies. She was prompted to write about Feminist Dilemmas in Field Work while experiencing them while doing field work in Java “studying down” (Wolf 1996:x). Dilemmas of engaging in deceptions in order to better fit into a culture such as lieing about one’s marital status,national identity, religion, etc. Zavella, Patricia 1989 Women’s Studies. Nov1989, Vol. 17 Issue 1/2, p.25. This entry was posted in Cultural Anthropology, Feminism & Gender Studies, Fieldwork, Post-Modern Theory by arkirwin. Bookmark the permalink.